The Perfect Foundation For A Turbocharged Or Supercharged Application. Built With The Same Meticulous Standards That Has Kept Us As The Engine Bulding Leaders For Over 40 Years! 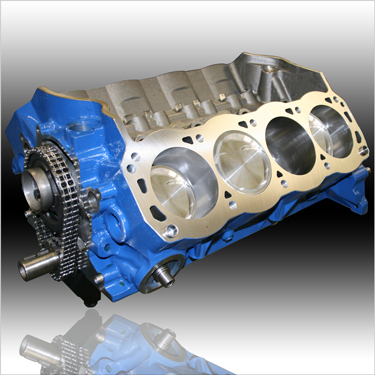 Includes: UltraStreet Steel Billet Solid Roller Cam, Cloyes Roller Timing Set. Camshaft Installed, Degreed-In and Checked For Proper Stroker Clearance. Includes: UltraStreet Steel Billet Solid Roller Cam, Cloyes Roller Timing Set w/(2) Piece Fuel Pump Eccentric, OEM Style Front Cover, SFI Hi-Performace Balancer and Billet Pointer, Canton Road Race Oil Pan*, Melling HP Oil Pump w/Pickup, (1) Piece Silicone Oil Pan Gasket w/Steel Grommets. Completely Assembled With TDC Verified and Set.